Namel "Tapwaterz" Norris and Ricardo "Rickfire" Velasquez, the hip-hop artists behind 4 Wheel City, debuted their new single "Mainstream" at a special event at the U.S. Capitol Visitors Center in Washington, D.C. on December 10. The event, "Financial Inclusion and Shared Prosperity: the Next Frontier for People with Disabilities," was organized by the National Disability Institute (NDI), a nonprofit organization dedicated to building a better economic future for people with disabilities and their families, to provide recommendations to cut the disability poverty rate in half by 2025 and advance economic self-sufficiency. 4 Wheel City's new song "Mainstream" highlights the challenges of poverty and disability and promotes the message "I can work, I can dream, I can be so mainstream." The song will be used by NDI to begin a conversation in 2016 between the public and private sectors to examine the challenges of disability and economic inclusion for the 22 million working-age adults with disabilities. Norris and Velasquez are in wheelchairs due to gun violence and use their music to advocate for people with disabilities. They have previously worked with Snoop Dogg on the song "Welcome to Reality G-Mix" and performed at the opening ceremony of the London 2012 Paralympic Games. 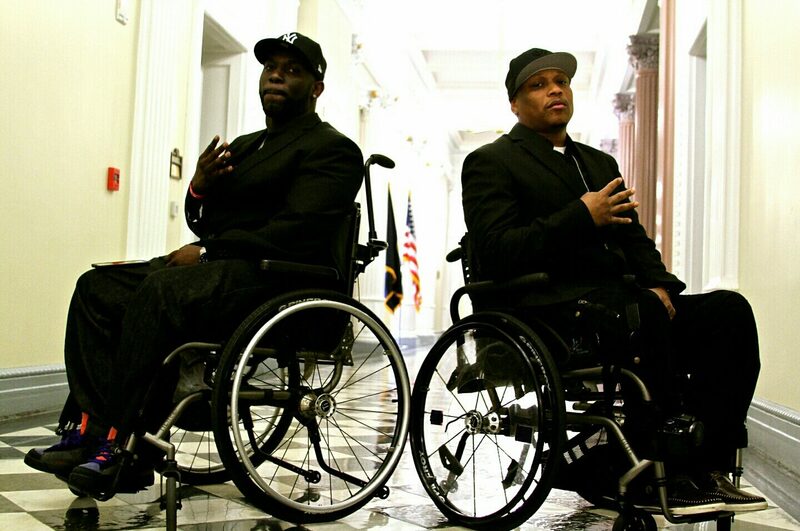 REVOLT premiered their music video "The Movement" on the 25th anniversary of the Americans with Disabilities Act (ADA) on July 26, 2015. Awesome to see. Thank you for sharing! Will definitely spread the word! This is so inspiring! thanks for sharing! Glad it resonated with you! They are so talented! and 5 others upvoted this.